Ezerwoman has sadly neglected her blog this year. Two years ago, she began a project that had, in reality, been taking shape for twenty years or more. Ezerwoman prays that the work will soon be completed. If God so blesses the effort, then Ezerwoman will share the news with you. An ezer is a helper. This ezer strives to help and encourage men and women, but also the Church. Would you please pray that this helper receives the help of the Holy Spirit? Truly, the Holy Spirit is The Helper, Encourager, and Counselor. As for all the rest of you ezerwomen — you helpers of husbands, children, parents, siblings, friends and neighbors — may God grant you wisdom, desire for holiness, and strength to shine light into the dark places of this world. Sons and daughters of God in Jesus Christ anticipate His return for us but, while we wait, we affect the culture one life at a time. Americans have developed a bad habit of turning social experiments into policy and code. Do you know what I’m talking about? A social experiment arrogantly opposes God’s created order. It has the look and feel of liberty but, in reality, puts human life at risk. Abortion and the “marriage” of two men or two women are social experiments. 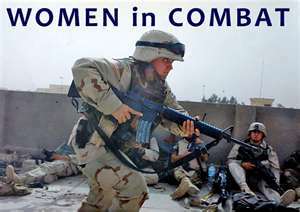 So is the political correctness of putting women into combat. Social experiments are reckless and foolish. During His life on earth, Jesus honored and elevated women in remarkable new ways. Certainly, He could have chosen both men and women to serve as His apostles. He did not. Jesus was not only aware of the created differences of male and female (after all, He was present at creation Genesis 1:26), but of their differing yet complementary roles and vocations. Equality does not mean that everyone does the same thing, but that male and female each have the opportunity to serve God and others according to their design. 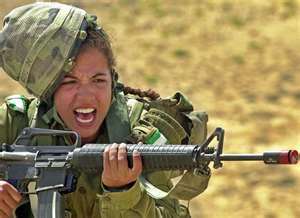 Q: How might the Christian woman consider serving in combat in this light? A: We might begin with some personal introspection. I know that God created me. I am His design for His purpose. But, like Eve before me, I am tempted to doubt the Creator and, in fact, position myself as lord of my own life. My choices are too easily influenced by personal feelings, circumstance, convenience, pride, envy, short-sightedness, and search for identity. Q: What is the issue – sexual equality or ordered equality? Q: What is the significance of Genesis 3:20 for this issue? A: Woman’s glory is found in her God-given role as life-giver and nurturer. Dr. Vogel paraphrases Luther, saying that “women were created not to kill and destroy, but to be a vessel for life.” A culture that encourages women to destroy life is a culture that rebels against God’s design for His creation. A culture that doubts the created differences between the “defender” of life (male) and “bearer” of life (female) is a culture that has been deceived by Satan’s question: “Did God really say . . .?” (Genesis 3:1). 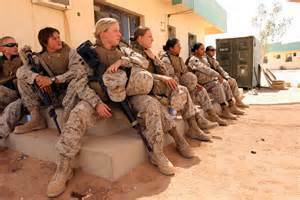 Q: George Gilder writes, “The ancient tradition against the use of women in combat embodies the deepest wisdom of the human race. 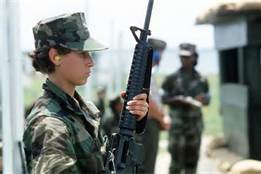 It expresses the most basic imperatives of group survival: a nation or tribe that allows the loss of large numbers of its young women runs the risk of becoming permanently depopulated. 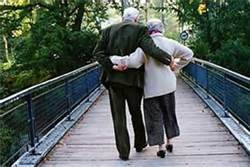 The youthful years of women, far more than of men, are precious and irreplaceable.” (Men and Marriage, p. 135). What brings a society to the place where it forgets or ignores this truth? What does the future hold for such a society? A: There are two worldviews: God’s and all others. The Christian who trusts God’s Word can be confident that the Creator of life has a way that things of life work best. Consider the words of God to Job (Job 38-41). God speaks His worldview to us through His Word – from Genesis to Revelation. He speaks His Word to us through Jesus Christ who, literally, is the Word become flesh (John 1). But, perhaps, when we are blessed with resources and exist without threat of enemy at our door, we can become complacent and self-absorbed. At such times, might our hearts and minds be influenced more by the foolishness of the world than the wisdom of God? What does 1 Corinthians 1:16-30 say about wisdom? What does the future hold for people who seek after personal desires or the world’s view? “. . . [T]he world is passing away along with its desires, but whoever does the will of God abides forever” (1 John 2:15-17).